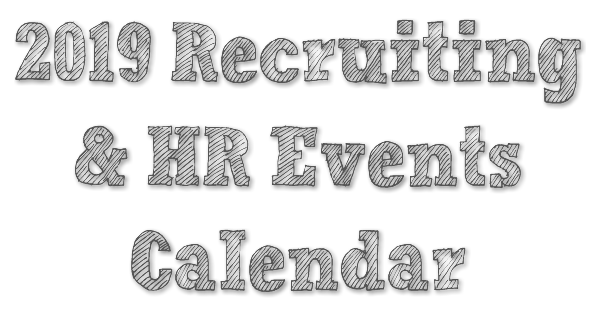 Looking to attend a recruiting or HR event in 2019? You’re in luck. There are lover 100+ major events each year that cover nearly every subject in human resources and talent attraction. EVENT ORGANIZERS: To submit your event to this page please contact us. Want us to cover your event? Help us get there, give us a free pass and we’ll provide wall to wall coverage. Feature your event on this page for $199. Social Recruiting Strategies Conference Jan 30 – Feb 1, San Francisco. Register here. People Analytics & Future of Work 2019, San Francisco Jan 31-Feb 1. Register here. HRPA, Toronto, Jan 30-Feb 1, register here. People Analytics & Future of Work, San Francisco, CA, January 31-February 1, register here. Learning & Development Executive Summit 2019, Orlando, FL – February 3, 2019 – February 5, 2019. Register here. BATSA Quarterly Event Feb 21st in Boston. Register here. Recruiting Trends & Talent Tech, Feb 20-22 Caesars Palace Las Vegas, Register here. Work Rebooted Summit, Feb 25-27 in San Francisco. Register here. TAtech Leadership Summit on AI & Machine Learning in Talent Acquisition. Tempe, Arizona USA on March 5-6, 2019. Register here. SourceCon Seattle, March 19-21st. Register here. Talent Brand Summit March 26-28, Austin, TX. Register here. HCI: Workforce Planning & People Analytics Conference, March 5-7, Miami. Register here. LEAD 2019 March 5-8 in Utah, register here. RecPlus Barcelona, March 5-6. Register here. Unleash London, March 19-20. Register here. NCHRA – HR West, Oakland March 11-13. Register here. i4cp’s annual conference, March 11-14, Scottsdale AZ. Register here. Oracle’s HCM World – Date/location Not yet posted. Details here. SHRM Employment Law – March 18-20 Register here. HR Transform, March 26-28 in Las Vegas. Register here. WorkHuman March 18-21 in Nashville. Register here. NPA Worldwide Global Conference, April 4-6, Long Beach CA. Register here. HRtechTank San Francisco, April 16th. Register here. WHARTON PEOPLE ANALYTICS CONFERENCE, April 4-5, Register here. SHRM Talent April 8-10 in Nashville. Register here. StaffingTec, April 9-10 in Nashville. Register here. ERE San Diego, April 22-24. Details here. IAMPHENOM, happening on April 24 – 25, 2019 in Philadelphia. Register here. Top Talent Summit Vancouver April 10-11. Register here. Impact HR April 15-17, Phoenix AZ. Register here. Featured Event: RecruitCON, Austin TX, May 8-10. Register here. RecruitPhilly, May 23rd, register here. 4th annual Employer Branding Strategies Conference in San Diego from May 7-9. HR Redefined, May 5-7 New York. 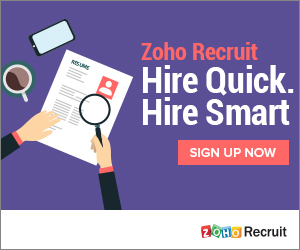 Register today to join Namely at HR Redefined 2019: https://hrredefined.namely.com/. Americas Mobility Conference May 8-10 in Atlanta. Register here. Top Talent Summit Toronto May 1-2. Register here. TAtechEurope 2019. May 9-10 in Lisbon, Portugal. World Employer Branding Day 15-17 May 2019 | Lisbon | Register here. SourceCon Europe in Amsterdam. May 21-22. Register here. Greenhouse OPEN June 11-13, New York City. Register here. Strategic Talent Acquisition (HCI) Denver CO, June 10-12. Register here. TAtech Leadership Summit on Programmatic Ad Buying in Talent Acquisition, founded by Appcast. The Summit will be held in Boston, Massachusetts USA on June 4-5, 2019. HR Healthcare Event, June 18-19, Austin, TX. Register here. Transform by Smashfly, June 19-21, Boston. Register here. SHRM ANNUAL Conference June 23-26 in Las Vegas. Register here. Jobg8 Job Board SUmmit June 25-26, Denver. Register here. CALIFORNIA STAFFING PROFESSIONALS 2018 Recruiting & Staffing Conference June 5-8, Irvine, CA. Register here. Workforce Recruiting Conference, Monterey, CA, June 18-21, register here. ProcureCon Contingent Staffing is the only peer-led, interactive conference designed to help staffing professionals build a winning people strategy by introducing procurement values. 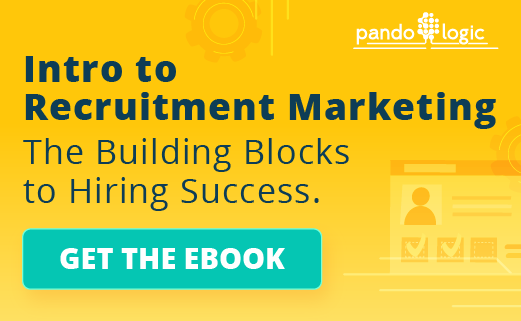 Created as part of our ProcureCon series of events, Contingent Staffing will make sure you have the tools for success in Total Talent Management. HR Leadership Summit 2019, Loews Coronado Bay Resort, San Diego, CA, July 28, 2019 – July 30, 2019. Register here. HCI: Employee Engagement July 29-31 in Denver, CO. Register here. Talent Success Conference, Boston, Sept 10-11, register here. iSolved Connect, Austin, TX, on September 25-27, 2019. Register here. HCI: Learning and leadership. Boston, Sept 10-12. Register here. Colorado SHRM State, Oct 2-4, register here. HR Tech Las Vegas, Oct 1-4, register here. Use Code RECTECH for you to get $300.00 off the going rate of Premium Passes. ERE Washington D.C. October 14-16. Details here. HIREconf, New York City Oct 22-23. Register here. RecruitCON Nashville, Nov 14-15. Register here.